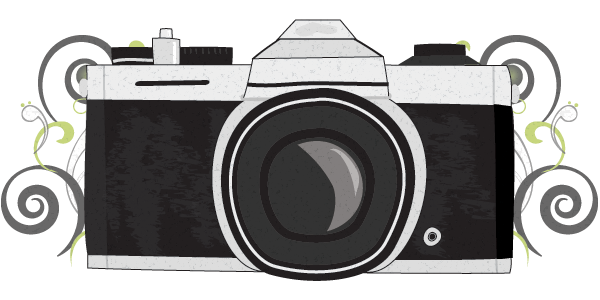 Another month has almost come and gone…and of course I didn’t get back into blogging consistently as I planned. Less than 2 weeks and we will be celebrating our 1st Anniversary. Then in another 2 months I’ll be 30. YIKES! I don’t think I’m ready to think about that yet! Here are a few highlights from July! 4th of July – For the 4th of July we went to Americafest at the Rose Bowl. It was unlike any other 4th of July I’ve ever celebrated. Between concerts by the Mariachi Divas and Kenny G it very well might have been the most (non) patriotic music I’ve ever heard on the 4th of July! Awesome fireworks though – some of the best I’ve seen and all around a fun night! Best of Social Media Summit – The next week I traveled down to the Saddleback Retreat Center in Orange County for a 3 day event. It was a gathering of the social media people from all sorts of non-profit organizations and denominations. Within hours of the event beginning my brain was overflowing with new ideas. I don’t know how I ended up in this group – these people are awesome and it was a joy to get to know them and glean from their experiences! I came home inspired and with pages (yes, I’m old school and I still take notes on paper, not electronically) of ideas. TV Addiction – Alias. We can’t get enough. Than has already seen all the episodes before, while I’m biting my nails through every episode and dreaming at night about Sydney Bristow and Sark. They are NOT the people I want showing up in my dreams – too scary! This summer has also been filled with lots of little projects around the house. It was my goal to complete our wedding album before our first anniversary and I’m proud to say I made our deadline! The album arrived on Tuesday and we’ll happily show you if you come for a visit. We’ve joined the local gym (finally) and are diligently going at least 4 times a week. Knowing we still have months left of warm weather it doesn’t really bother me how quickly summer is going by. Plus, it’s means we’re that much closer to our trip to New Zealand!! This has become a favorite summer recipe – it’s fresh, tasty and so simple to make! Put 3 cups raw blueberries in a baked shortbread pie crust. Squeeze a little lemon juice on the top of the blueberries. 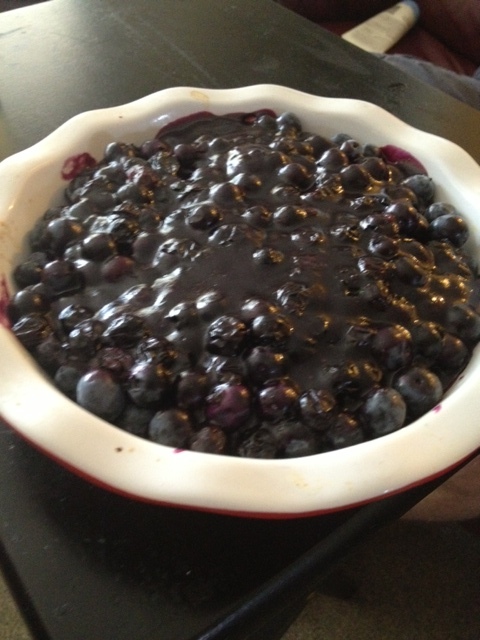 In a small sauce pan, combine the remaining 1 cup blueberries, 1 cup water, 1 cup sugar, 4 TBSP flour. Stir occasionally over medium heat. Stir it more often as it heats up. It will thicken, the blueberries will open, and it will turn deep purple. This takes about 10 mins. Pour over the blueberries in the pie crust. Squeeze a little more lemon juice on top. Refrigerate and enjoy! I guess the warning signs were there. We had the occasional moth flying around. They’re pretty slow and we’re pretty good at squashing them if I do say so myself. (Catching one of those moths with a clap of the hands does something good for your self esteem – such a sense of satisfaction). Yet they continued to multiply. It seemed like for every 1 we killed, 3 more would come as replacements. One evening we arrived home after spending a glorious day on the beach only to find that while we were away we had been invaded by these moths. I don’t know if having the house shut up all day encouraged breeding and birthing or what, but they were ALL over. At that point you have no choice but to take some serious action. No amount of zapping these bugs with a clap of the hands was going to work. So what did we do? We spent our Saturday night taking every single thing out of the cabinets and pantry, killing moths and larva (is that what it’s called?) along the way. There’ still an occasional moth flying around, but nothing like it was! We read online it could take 6 months to fully get rid of them. Yikes! At least the pantry is nice and organized now…. And it’s probably good preparation for moving overseas where there’s all sorts of insects fluttering and crawling around. Never a dull moment around here!